The 2017 World Athletics Championships starts Friday in London United Kingdom. 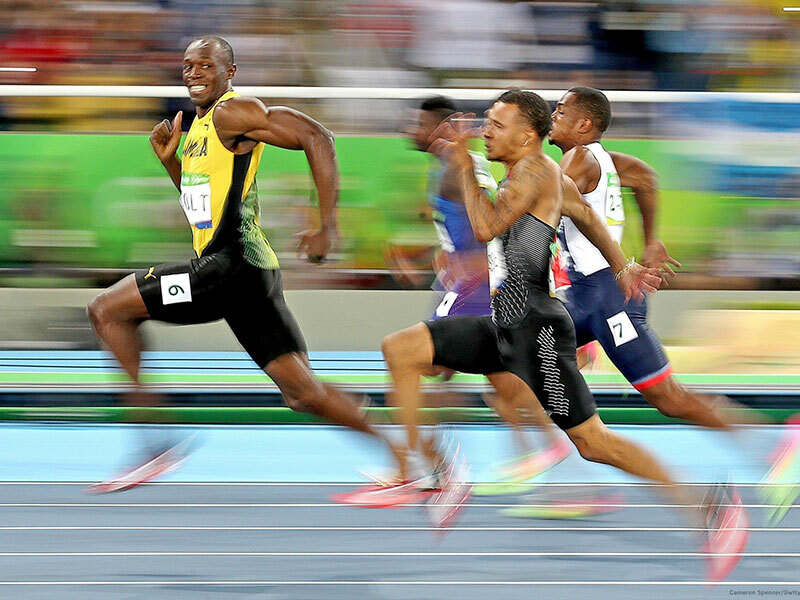 There is no doubt that all eyes will once again be on sprint legend Usain Bolt. The eight-time Olympic champion and an icon of world sport will be retiring after this meet. What a man! What a career! He is immortal and unbeatable! Well, maybe. It all depends on who/ what is racing him. 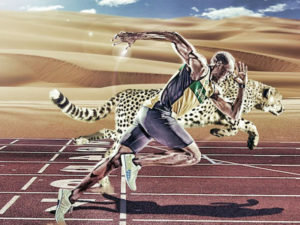 In his illustrious career, Bolt has beaten everybody he has come up against but one: the cheetah. Sarah, a cheetah residing at the Cincinnati zoo, smashed Bolt’s 100m record of 9.58 seconds hence reducing him to a spectator by doing the same distance in 5.95 seconds on June 20, 2012.On a USA Track & Field-certified course established by the Cincinnati Zoo, the 11-year-old cheetah was radar-timed at up to 98 kilometers per hour. Nearly four seconds faster than Bolt’s 100m world record and more than double his top speed. Sarah’s sprint five years ago is the fastest timed 100 meters ever run by anything on the planet. But guess what; cheetahs in the wild even run faster. Is it just common sense that cheetahs in the wild – lean, hungry, chasing down antelopes for their own survival or that of their cubs – will run considerably faster than Sarah who usually gets food without a hustle. A cheetah can accelerate from 0 to 100 km/h in three seconds. Now that is explosive. Move over Jacobs Seaman with your Ipsum; only a Lamborghini can try this acceleration! It’s official the cheetah is the fastest land animal. The good news is that we have cheetahs in Uganda. If you want to see how one looks like, there is one at the Uganda Wildlife Education Centre in Entebbe but if you want to see it run then Kidepo Valley National Park is the place to be. Go see Uganda: Go see the amazing wildlife. Don’t miss my next amazing animal story come Monday, because I am here to take care of your wildlife urge.